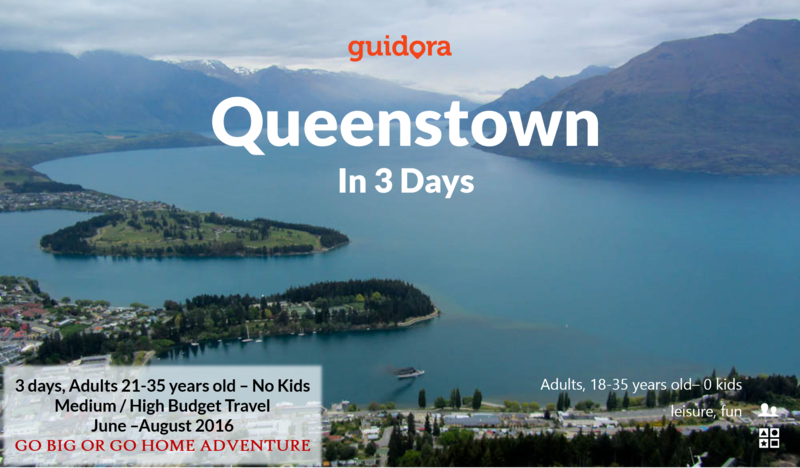 Discover Queenstown in New Zealand. A place with amazing scenery, an endless range of activities and people who will welcome you with a smile. Queenstown, the New Zealand’s favourite visitor destination, with its majestic mountains and its crystal clear Lake Wakatipu, will inspire you with its natural beauty and unique energy and will give you the perfect holiday full of adventure, exploration or relaxation. – In which hotel to stay? What is the best value for money hotel in Queenstown, that will help you be in the epicenter of all activities? It’s just like having your best friend in Queenstown, showing you around to the best that the town can give you. Get this travel itinerary now, save time and money from organizing your trip but most importantly, enjoy this experience to its fullest!